Take control of your print costs and ensure your documents security. 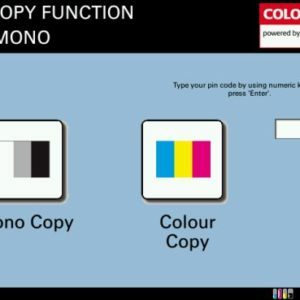 Colour Control is an application for colour multifunction systems, allowing companies to regulate access to colour features and to control the cost of colour documents. MyQ is a server-based application that streamlines and secures your document management. 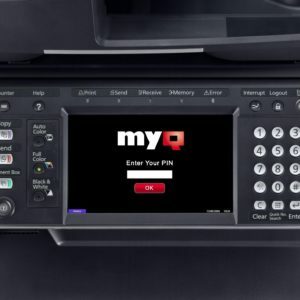 The embedded Print&Follow application increases printer efficiency and speeds up the printing process: instead of sending a document to a given device, users send it to the MyQ server that all the devices in the office can access. 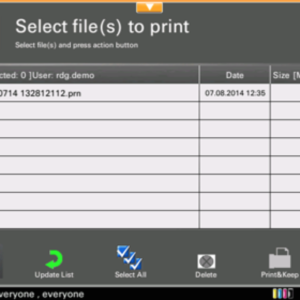 The document can then be printed from any free device. This helps reduce printing queues and increases the overall security of documents, as the device does not release the document until the sender has logged in and selected it for printing. 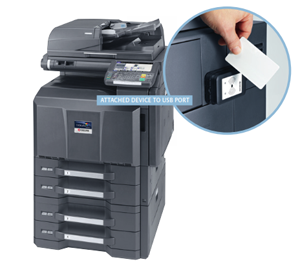 Print&Follow SE stores all print jobs on a central MFP server that all devices can access. You can log in at any free device in your office to print your documents, thereby avoiding print queues and increasing the security of your data. 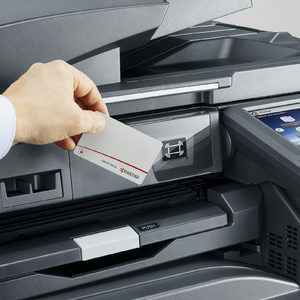 SmartPrint brings printing costs and waste under your control automatically. Prevent data theft and restrict access to your devices Our USB Card Reader portfolio allows you to control the access to your MFPs by having users identify themselves with an ID card before the device unlocks.